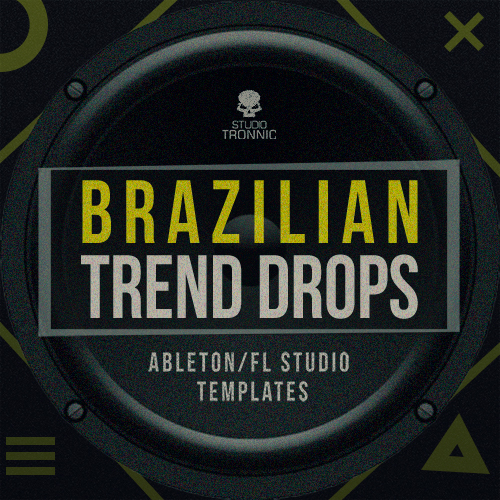 “Brazilian Trend Drops” was created following the trends of the most successful sounds currently in the scene of Brazilian electronic music, being inspired in tracks of great Djs / Producers like: Alok, Vintage Culture, Breaking Beattz, Evokings, Shapeless, Dubdogz and many more. This pack contains 08 excellent projects in versions for Ableton Live and Fl Studio, so it can be used by users of both Daws. These templates offer a great opportunity of study, because you will have in hand the techniques used in the creation, being able to study and unveil everything in them: Drum schedules, Automations, Mixing and Mastering, and more. Discover how each element is carefully designed and crafted, create and recreate using your creativity and apply the same techniques in your productions. All elements used in the templates are available separately in folders organized by categories, containing: Drums One Shots with , Instrument loops and vocals, Midis with key information, plus Sylenth1 plugin presets that have been arranged on a soundbank, all to give you full creative control to edit and add your own personal touch. We also organize a folder with all demos of the projects saved in Mp3 files so you can listen separately before opening the projects. With all the tools available in this pack you will broaden your view on production and consequently take your music to the next level.